My Blissful Journey: MidWeek Munchies - Vegan Snack Chip & Sticks! MidWeek Munchies - Vegan Snack Chip & Sticks! Today is Wednesday and that means it's the beginning of another MidWeek Munchies week! So if you have anything vegan to share link up below! It can be a munchie you made or one you bought! If you did an online purchase of interesting vegan products, found them locally, or were gifted them! If you picked some items from your garden or farmers market we would love to see them! Link up at the end of this post! For my post, today, I wanted to share a few snack finds that I have grabbed this past week! This first one is Eatrageous Sweet and Smokey BBQ (sticks)...they were yummers! Next up are Better Chip Spinach and Kale Whole Grain Chips which were darned tasty! I also bought the Chipotle flavor, too! YUM! BOTH were clearly marked vegan on the bag! Why aren't all products so simple to identify, eh!? I made an online purchase yesterday that I might save for next week's MidWeek Munchies. I also have a pile of posts that I need to finish up! Everything from recipes, reviews, and much more! What do you have up your sleeve as of late? Those look amazing! That reminds me that I need to get some salty, crispy things like now! Mmmm. Those look tasty! I love it when chips are actually kinda healthy. Wow, those look great! Need to look for them for our Christmas party, thanks! 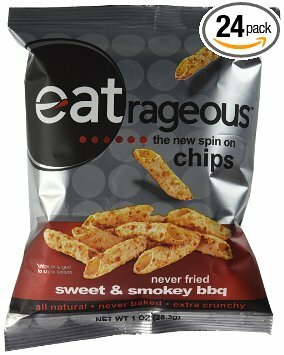 Those chips both sound great, but the smoky BBQ chips would win my heart I think. The snacks look great! Later today, I'm making snacks in my Food dehydrator. 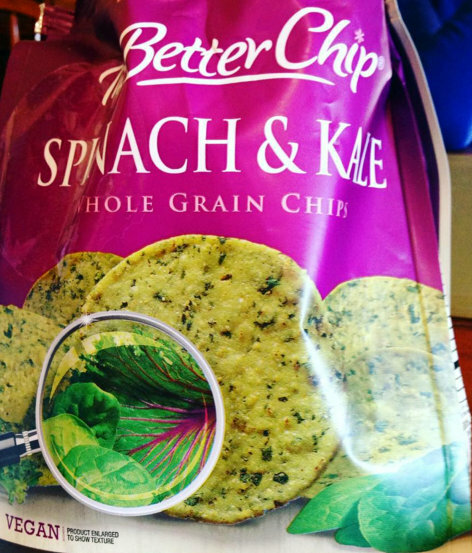 Oooh the spinach & kale chips sound so good!!!! I would love to try that spinach one, my girl loves spinach. It's Christmas Eve here already so here's wishing you and all your loved ones a Happy and Wonderful Christmas, cheers!!! The Beet one is great, too! eeeek! Painkillers! Ouch! Yes...things are better for the most part...still arthritis in my thumb but Sciatica and Knee issues are MUCH better!